If you don’t have any Nutella in your cupboard, quick, run to the store now! 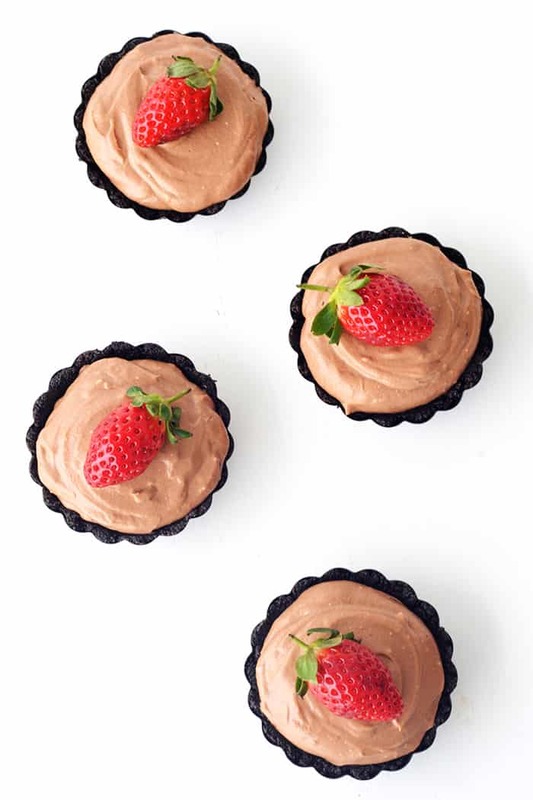 These Mini Strawberry Nutella Mousse Pies are calling! 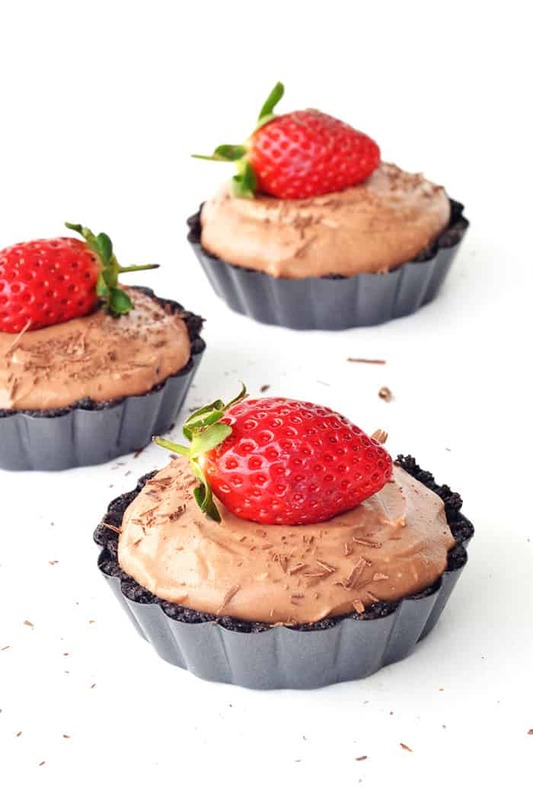 A soft and velvety Nutella chocolate mousse sitting on top of a crumbly Oreo crust, served with juicy fresh strawberries. While I’ve been pulling out the track pants and wearing socks 24/7, those in the Northern Hemisphere are enjoying all the joys of summer (so I hear). But it doesn’t matter to me whether its summer, winter or spring – no bake desserts are always a good idea. Whenever I’m entertaining, I’m always partial to no bake desserts because 99 out of 100 times, they can made ahead of time. Half the time, they taste even BETTER the next day. And easy no bake desserts make for easy entertaining. Whip these gorgeous pies out at your next do and watch them disappear. Your guests will never know they were a cinch to make! Honestly, these pies are too easy. Once you crush those Oreos and make the cookie crust, it’s just a matter of whipping up the mousse (which is only four ingredients) and then its time to let it set. Before serving, add a few strawberries and you are good to go! Fresh strawberries and chocolate are just a match made in heaven, am I right? It’s like having your own little pot of Nutella fondue right there, ready for dipping! 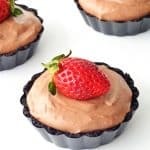 It’s a good thing there is no more Nutella mousse in my house because I’m starting to develop some serious cravings right now. And I don’t think it’s normal to eat chocolate mousse at 6am in the morning! 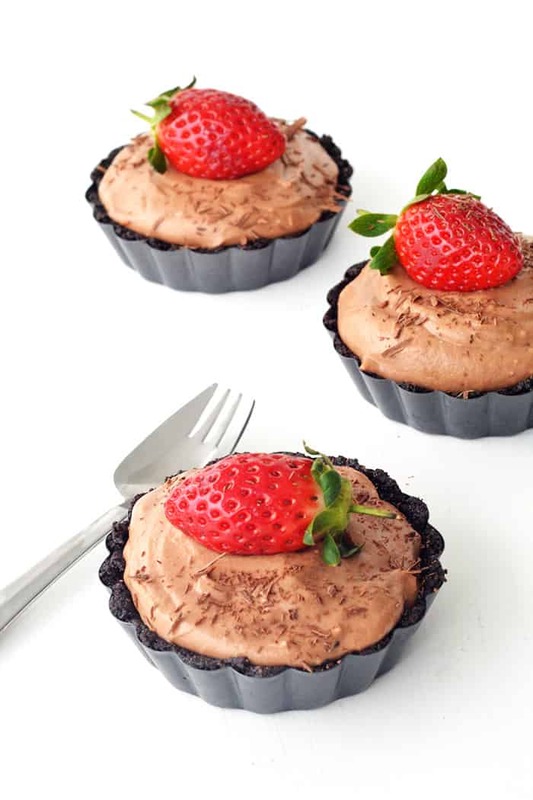 A soft and velvety Nutella chocolate mousse sitting inside a crumbly Oreo crust, topped with fresh strawberries. 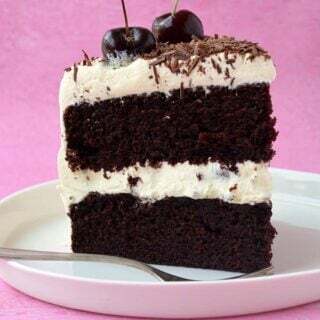 Crush your Oreos, cream and all, using a food processor. Melt your butter in the microwave and then pour over the Oreos and whiz again. Stir until they are fully coated and become like wet sand. Press into the bottom and sides of your tart tins. Pop them into the fridge. Meanwhile, add the cream cheese to a large bowl and beat with an electric mixer until smooth and creamy. Add the vanilla and Nutella and beat until smooth. In a seperate bowl, whisk the cream until soft peaks form. Gently mix through the whipped cream into the Nutella mixture. Pour the Nutella mixture over the Oreo base. Pop in the fridge for at least 3 hours before serving. 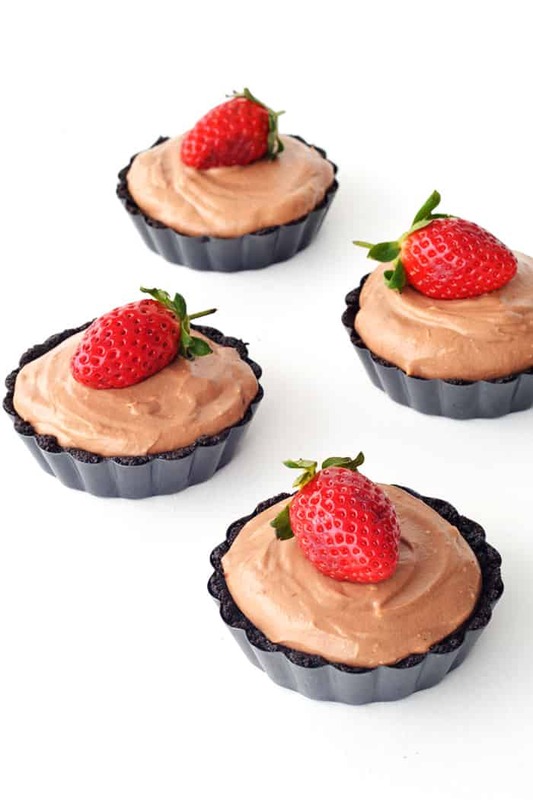 Add a strawberry and sprinkle over a few chocolate shavings. Enjoy! Hi! How long can you leave these in the fridge ? (Ie: could I make them the night before and serve them at dinner the next day ?). Hi Julia! Absolutely! 😊 Hope your guests enjoy them! Oh glad you enjoyed them Josh! Yes to the no bakes! These are adorable, Jess! These sound wonderful! And they look beautiful. I always have Nutella on hand. It’s my weakness! These mini pies look so tempting! This look increeeeeedible, Jess! 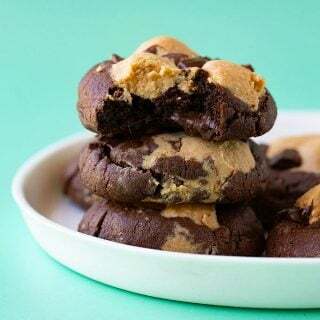 I need to try these with gluten free oreos! Oh totally Kristy! The filling is GF so that would work perfectly! We are definitely in the dead of summer here, so I can use all the no bake treats I can get! These little pies are adorable! Sounds awesome! Do these come out of the tins easy enough or should they be served in the tin? These are gorgeous!!!! Love the strawberries on top too! These are not only gorgeous, but they sound so delicious! 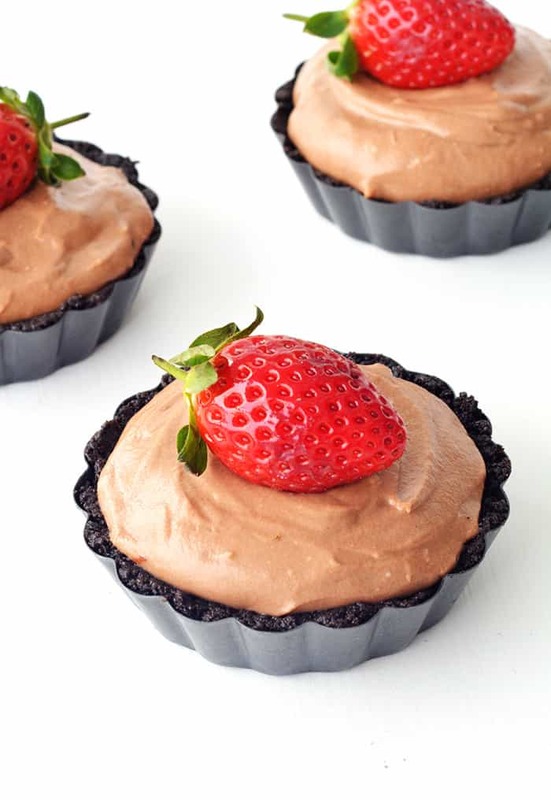 Nutella, strawberry, and Oreos…What’s not to love?? No bakes are always the way to go, summer or winter, especially for entertaining! LOVING how light and fluffy these Nutella Mouse Pies are. 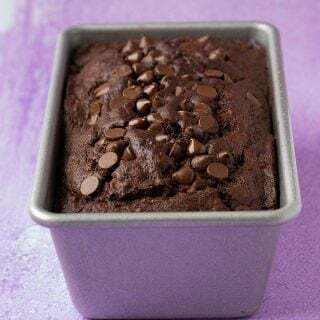 Happening soon in my kitchen – no doubt about that! So fluffy! Like a Nutella cloud! 🙂 Hope you love them Leah!